Originally scheduled for release next week, the Xbox 360 version of Respawn Entertainment's mech shooter has been pushed back to April 8 (April 11 in Europe) to give port developer Bluepoint Games time to make it better. The Titanfall 360 delay news comes from a post on EA.com from EA Studios executive vice president Patrick Söderlund, who says the game is fantastic, but not quite fantastic enough. Now, I want to update everyone on Titanfall for Xbox 360 in development with Bluepoint Games. I've been playing the game a lot, and it is fantastic. 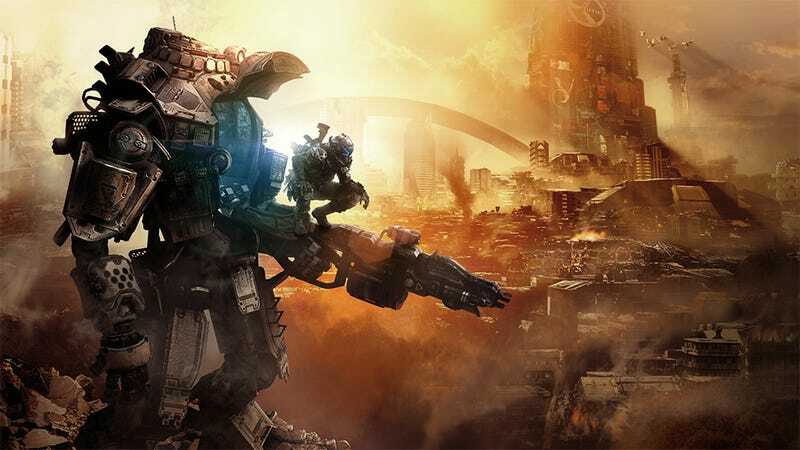 But we see a few things that can be made even better, so we're giving Bluepoint a little more time to do just that and deliver an epic Titanfall experience for Xbox 360 players. Titanfall for Xbox 360 will now be releasing on April 8 in North America, and beginning on April 11 in Europe. The game will feature the same 6v6 gameplay, maps, modes, weapons and Burn Cards as the Xbox One and PC versions of the game. Whatever the problems might be, they can't be too bad if they'll only take two weeks to fix. Xbox 360 gamers eagerly awaiting Titanfall's release can rest assured they'll receive a completely flawless product come April 8. There is so much confidence being bred here right now.